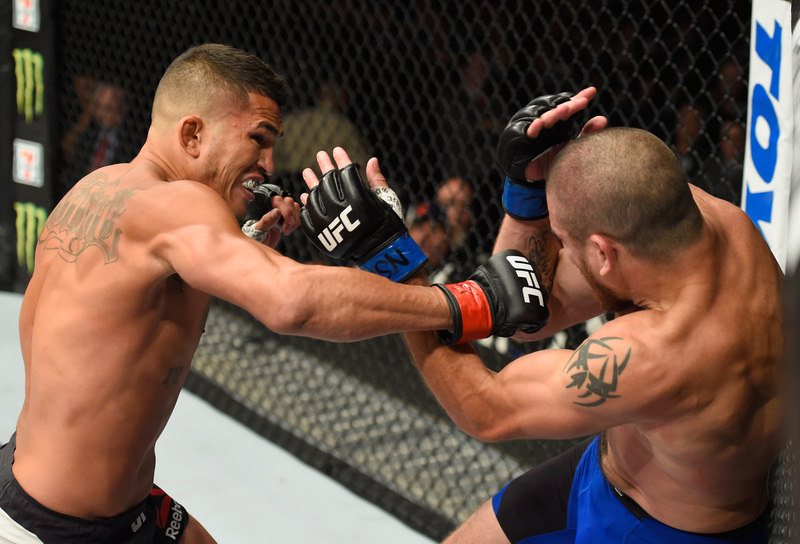 Dustin Poirier vs Anthony Pettis UFC Fight Night Nov 11, 2017 (25:27) Dustin Poirier vs Anthony Pettis UFC Fight Night: Poirier vs Pettis from November 11, 2017 in Norfolk, Virginia. 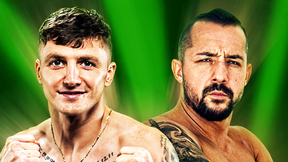 Anthony Pettis vs Jim Miller UFC 213 Jul 8, 2017 (22:38) Anthony Pettis vs Jim Miller UFC 213: Romero vs Whittaker from July 8, 2017 in Las Vegas, Nevada. 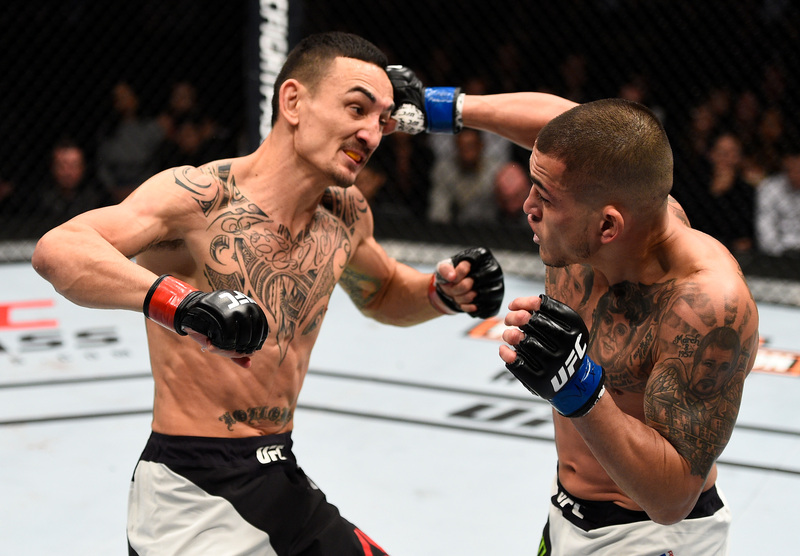 Max Holloway vs Anthony Pettis UFC 206 Dec 10, 2016 (34:14) Max Holloway vs Anthony Pettis at UFC 206: Holloway vs Pettis from December 10, 2016 in Toronto, Ontario, Canada. 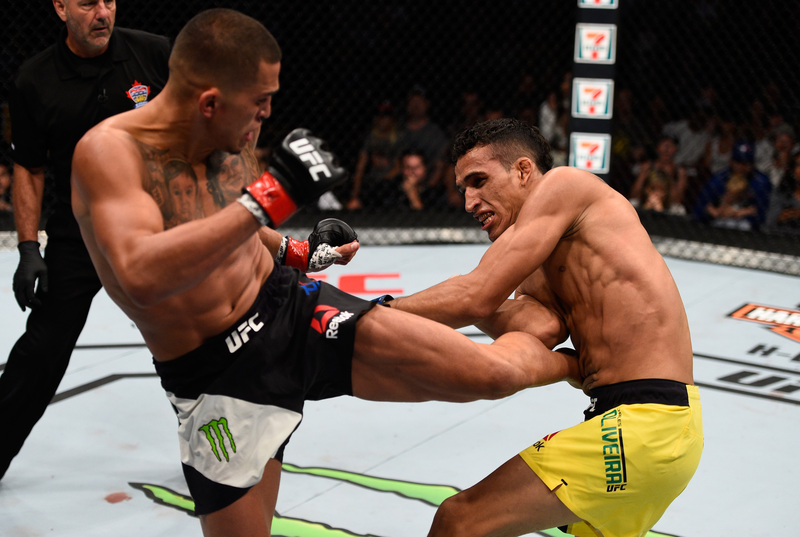 Anthony Pettis vs Charles Oliveira UFC Fight Night Aug 27, 2016 (27:07) Anthony Pettis vs Charles Oliveira at UFC Fight Night: Maia vs Condit from August 27, 2016 in Vancouver, British Columbia, Canada. 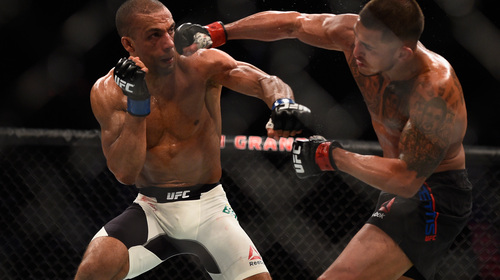 Edson Barboza vs Anthony Pettis UFC 197 Apr 23, 2016 (28:37) Edson Barboza vs Anthony Pettis UFC 197 from The MGM Grand Garden Arena on April 23, 2016 in Las Vegas, Nevada. 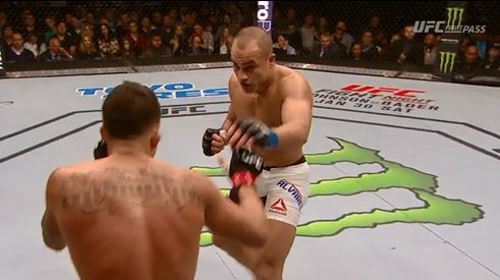 Eddie Alvarez vs Anthony Pettis UFC Fight Night Jan 17, 2016 (29:04) Eddie Alvarez and Anthony Pettis met in the Octagon with a title shot most likely coming to the victor. 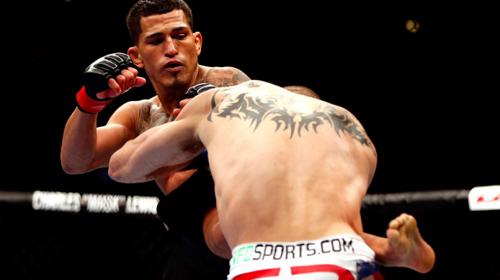 Rafael dos Anjos vs Anthony Pettis UFC 185 Mar 14, 2015 (37:04) Anthony Pettis had everything on his side leading up to his March bout with Rafael dos Anjos. 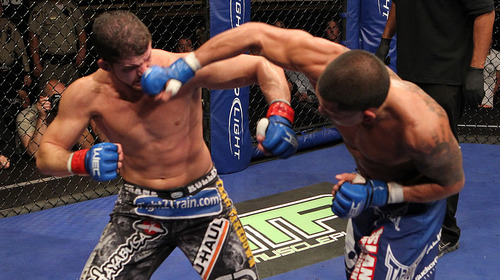 He had come back from a long layoff to impressively submit Gilbert Melendez, he was healthy, and he wanted to fight. Meanwhile, Dos Anjos also wanted to fight, and he was prepared to win. 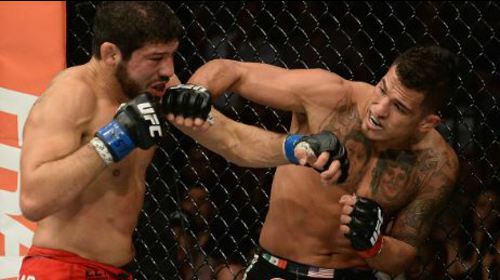 Anthony Pettis vs Gilbert Melendez UFC 181 Dec 6, 2014 (25:21) Anthony "Showtime" Pettis defended his belt for the first time against his coaching rival on The Ultimate Fighter, former Strikeforce champion Gilbert "El Nino" Melendez. 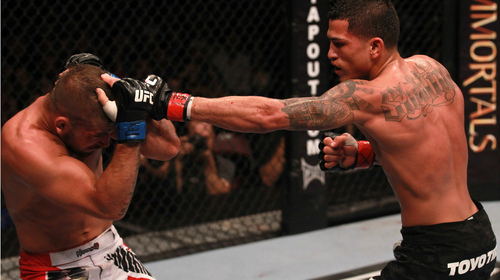 Anthony Pettis vs. Benson Henderson UFC 164 Aug 31, 2013 (25:28) They first met at WEC 53, where Anthony Pettis stole the belt from Benson Henderson with a kick still seen on highlight reels today. 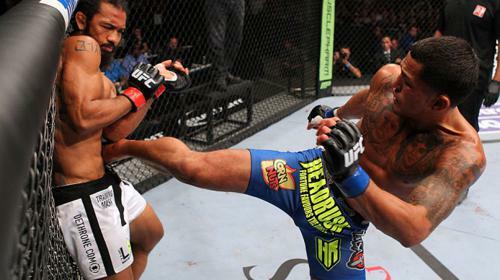 This time Benson Henderson had the UFC belt, and he did not plan on giving it up. 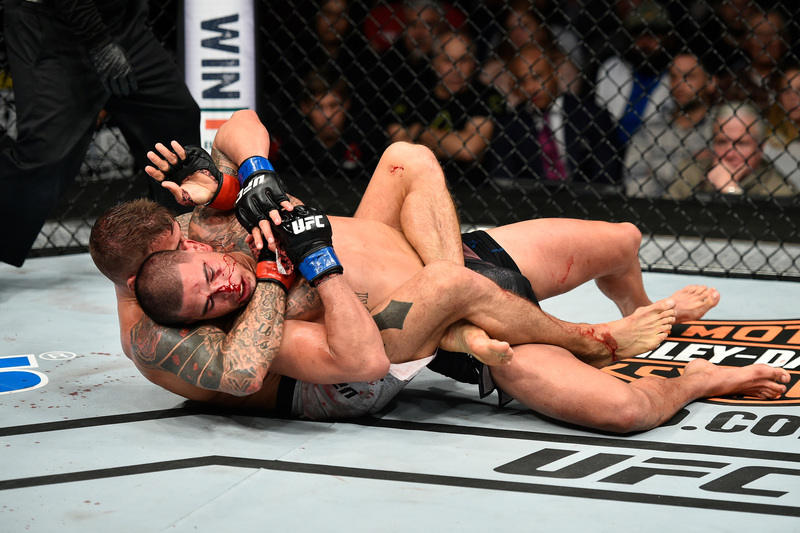 Anthony Pettis vs. Donald Cerrone UFC Fight Night Jan 26, 2013 (6:33) Coming off a big win against Joe Lauzon at UFC 144, Anthony 'Showtime' Pettis looked to lock in a top contender bid with a win against world class striker Donald 'Cowboy' Cerrone. Anthony Pettis vs. Joe Lauzon UFC 144 Feb 26, 2012 (11:28) Former WEC Lightweight champion Anthony 'Showtime' Pettis took on the Brazilian Jiu-Jitsu artist from Massachusetts, Joe Lauzon. Anthony Pettis vs. Jeremy Stephens UFC 136 Oct 8, 2011 (21:19) Two of the most exciting fighters in the lightweight division faced off as Jeremy "Little Heathen" Stephens battled Anthony "Showtime" Pettis at UFC 136. Clay Guida vs Anthony Pettis TUF 13 Finale Jun 4, 2011 (20:19) Final WEC champ Anthony Pettis got a hostile welcome to the UFC lightweight division as a surging Clay Guida showed no respect for Showtime’s huge reputation. Anthony Pettis vs. Benson Henderson WEC 53 Dec 16, 2010 (39:59) It was the final fight on the final WEC card in the promotion's history, and future UFC superstars Benson Henderson and Anthony Pettis delivered with Fight of the Night – and Fight of the Year – performances, including one unforgettable kick. 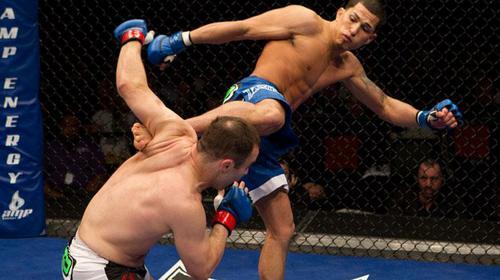 Anthony Pettis vs. Shane Roller WEC 50 Aug 18, 2010 (20:22) This fight was a classic striker versus grappler matchup, and with a future title fight on the line, both men left it all in the cage. Anthony Pettis vs. Alex Karalexis WEC 48 Apr 24, 2010 (12:41) “T-Rex” Karalexis had NFL star Jared Allen in his corner – hoping that would be enough to hold off a confident and aggressive “Showtime” Pettis. Bart Palazewski vs Anthony Pettis WEC 45 Dec 19, 2009 (22:47) Well rounded fighter Bart Palaszewski took on WEC newcomer Anthony Pettis in at battle of 155-pounders. 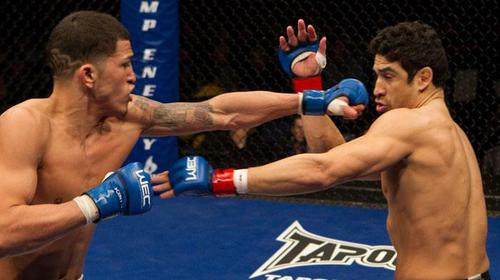 Anthony Pettis vs. Mike Campbell WEC 41 Jun 7, 2009 (3:39) Already a legend on small-hall circuit, Showtime Pettis arrived in the WEC anxious to prove that the “future world champion” rumors were well-founded.